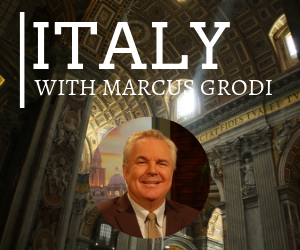 When Marcus Grodi’s family was received into the Church, JonMarc was 6 years old. Growing up around an apostolate designed to help people become Catholic, he found himself surrounded by great resources to learn and grow in the faith, but knew he had to do the hard work of finding out the truth for himself. As he reached college age, he found himself grappling with deeper philosophical questions about the significance of human existence, and after discerning out of seminary and getting married, joined the staff of the Coming Home Network full time. Anyone who knows that life holds deeper meaning than what’s offered by a consumer-driven culture will find plenty to chew on in JonMarc’s episode of The Journey Home! 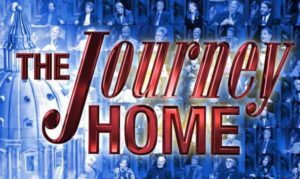 JonMarc is the Director of the Coming Home Network International and has been interviewed on EWTN programs such as Life on the Rock and The Journey Home, as well as various radio programs.